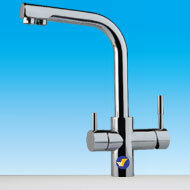 This dual tap is our newest and most stylist faucet in this range. 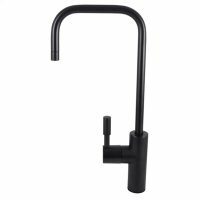 Suits new modern kitchens with its 360 degrees swivel range and extra height for additional space when washing up or filling up a vase full of flowers. 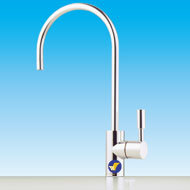 The filtered water tap/lever is located on the side of the tap with a smaller lever to operate it. 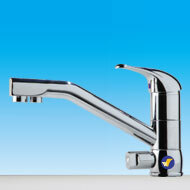 It has a separate water outlet for your filtered water usage. 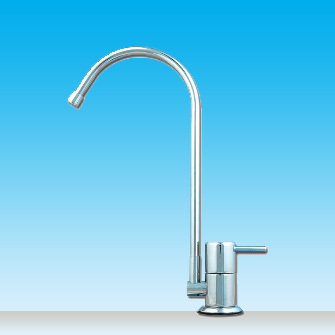 Aeon Water Filters has been providing quality water filtration systems for the home, office and commercial industries for over 15 years. PO Box 341, Bentleigh, VIC, 3204.